This rack works with steel pinion, and is used to open and close continuous ventilation windows of greenhouses and similar buildings. Normally, It has a height of 30mm, and a thickness of 2mm. 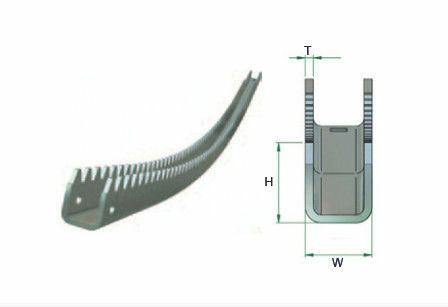 The rack is made of high quality galvanized steel sheet, and has high precision teeth. It works very well with XTB steel pinions for ventilation. This rack is strong, and has long life time. Its maintenance is very easy. 1). High quality galvanized steel sheet .